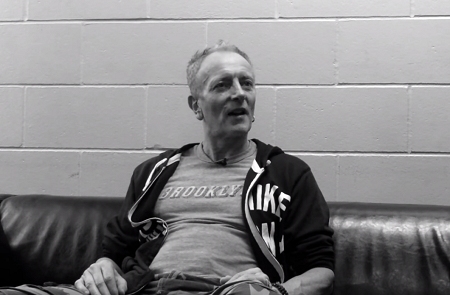 Tesla's Dave Rude was interviewed in July about working with Def Leppard guitarist Phil Collen on their next album. Dave was interviewed by Sleaze Roxx in July during the Summer Tour 2016. He talked about Save That Goodness, the Mechanical Resonance Live! album, working with Phil Collen as a producer, recording their next studio album, Tesla's back catalogue, touring with Def Leppard, his history before joining Tesla, his own band, side projects and his favourite albums. Phil's most recent mention of his work with Tesla was in September when he said the band were mid way through the new album. "Absolutely man. We really hit it off and he’s so cool. All of Def Leppard have been so great to us and are really nice guys. Phil really took an interest to us from day one. We’ve been working on that song “Save That Goodness” from the live record. You know, it went really well working with him so we were all kind of interested in taking it further. So now we are doing an original record with him actually producing. It’s cool. It sounds different. He’s got that Mutt Lange school of production, which is so legendary and really cool. I am really excited to be using some of these sort of like methods. The stuff that we have done so far, it sounds really fantastic so I am excited! The songs will sound a little bit different and I think people will dig it." "It just went perfect last year. It was so much fun. The guys in Leppard are super cool! They hang out. You see them every day. All the crew are fantastic - just the best of the best. We all got along really well, which was great. Also, last year there was Styx and same thing goes for them - the band and the crew were just so awesome! We really became like a big family. Every night after the show, we’d all hang out by the buses. It was a really great vibe and it was you know, a good package. People liked it. Almost every show was sold out."